Everyone knows that every country has different types of license. In fact, the different permutations of a driver’s license in Japan can be as varied as many other countries. There are licenses for regular drivers, those who can or cannot drive a manual car, and also for motorcycles. Then you have emergency vehicles and oversized vehicles such as trucks. The list is very long and would take too much of my own time to explain all of them. The good thing is that most of the licenses are pretty straight forwards and there isn’t too much that is different between Japan and other countries. It is important to know three distinct types of regular driver’s licenses. 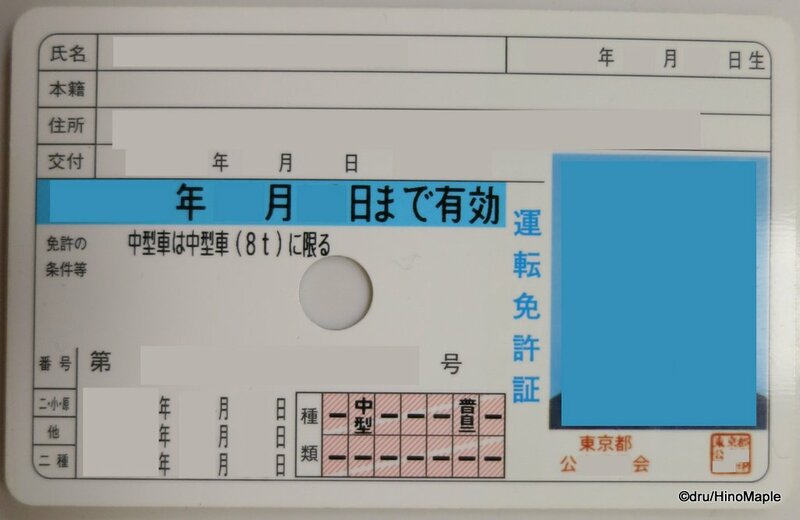 In Japan, newly licensed drivers are given their green license. Once they have that, they can graduate to the regular blue license. For those who have no points on their license, they are granted a gold license. All of this is easily seen within a strip on the license itself that is in these three colours. 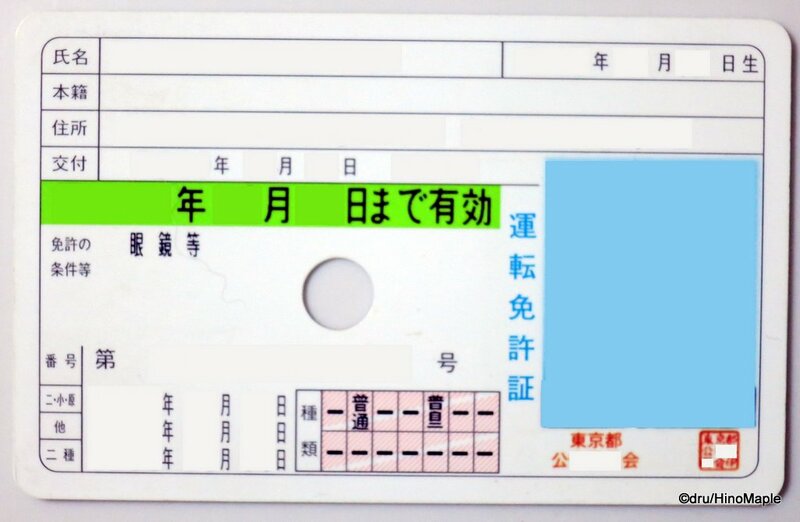 The green license is the restricted license. It can easily be considered the newbie license. All drivers must have this license and it lasts for about 2 years depending on your birthdate. The green license carries restrictions when you drive. For the first year as a driver, you must place a new driver mark onto your car. It is a basic inverted chevron with half being yellow and the other half being green. You are required to have it for the first year, but after that it is up to you. You can still put it on to warn other drivers that you will be driving slowly or you are more cautious about driving. I’m unsure if there are other restrictions such as passenger limits and highway limits, but I do know that there are tough alcohol limits as well. Since I am also a motorcycle rider, I know that the new driver as a motorcyclist is limited to one passenger, but they cannot ride on the expressways with another passenger until they have gone through enough time with their license. Otherwise, I am still at a loss as to what the exact rules are. The regular license is blue. This is what most people in Japan have, rather, most people who drive in Japan have. The blue license is valid for 3 years and comes with special training when you renew your license. As I mentioned before in “Renewing a License in Japan”, you have to go through a special class that lasts longer than the good driver class. The process is more of a cattle process where you are ushered from place to place and the lecture is pretty long. It takes roughly an hour or so to get your license renewed and a lot of the information that they give you is stuff you should know a long time ago. You get a lot of documentation that reminds you of what you need to do in order to drive safely and you often watch a long boring video, which changes depending on which class you get. The reason this is called a regular license is because any regular driver has points on their license. You get points for speeding, illegal parking, and any other regular driving violation. Having points on your license means you will be under the regular license rules which must be renewed every 3 years and requires you to sit through the long form of the licensing. The gold license is the “safe driver” license. You need to have a completely clean record during your period as a blue driver. Once that happens, you are entitled to the short form of licensing. You can get your license in under an hour and the lecture is just a quick refresher of facts. You also get a short video which probably depends on the class as well. The good thing is that you don’t feel like a piece of cattle, but more of a human. The bad thing is that they still push you around to do everything. The weird thing about the gold license is that most people who have it don’t actually drive. Most of them are just people who have a license for the purposes of identification. Japan has so many of these people that they created their own word for it, “paper driver”. I am almost one of them but I enjoy driving too much to forget it. I still get a little nervous when I drive again for the first time, but it all comes back to me quickly. As a gold driver, you are also entitled to a few perks as you can get a “safe driver” card which can be used to get special discounts at a few hotels and shops around Japan. Why they can’t just show a driver’s license is beyond me. The perks of the card are actually too small for me to bother applying and carrying it. I can often get better deals on the internet. The Japanese system for licenses is a good system. Forcing people to have a short lecture on driving is an interesting concept. It probably doesn’t work very well but it works well enough. I am probably one of the few who actually pays attention during class. I try my best to understand what they are saying, even though I don’t. A lot of the words are in Japanese that I rarely use but I can easily figure things out. The videos are also interesting but they are pretty laughable. If you ever get a license in Japan, the hard part is finished. You will find that the renewing part is a cake walk compared to actually getting a license. 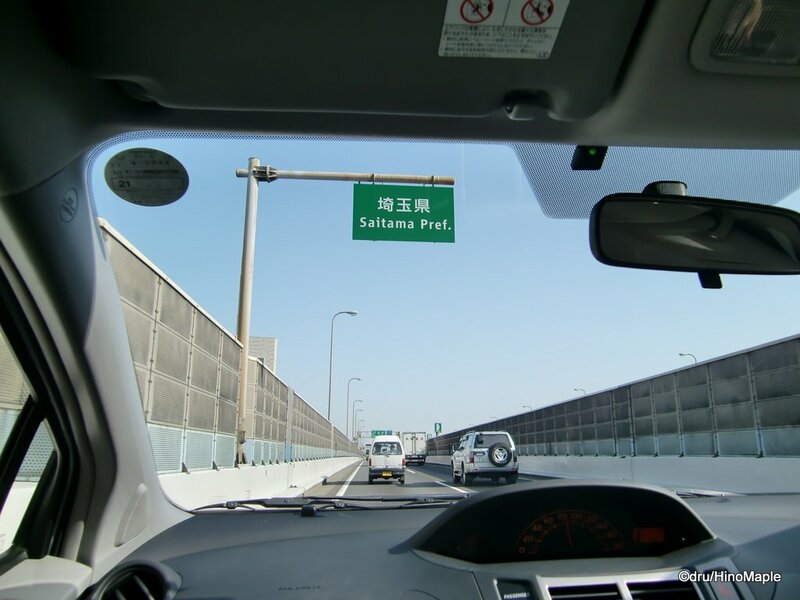 This entry was posted in Automobiles, Daily Life in Japan and tagged Blue License, car, DL, drive, Driver's Licence, driver's license, driving, Gold License, Green License, japan, Licence, License, ride, riding by Dru. Bookmark the permalink. My South Africa driver’s licence expires next year, and you can only renew it in person, yourself, and collect it n person, yourself. Take into account this is Africa: you have to wait a minimum of three months between requesting a renewal and actually getting your new card. I take it you can’t transfer it over to Japan? Or maybe transfer it to a special European country, and then over to Japan? Oh well, not like you need a license in Japan anyways. Yes, the gold license is a way to tell if you are a good boy or not. Good for insurance too, but not sure how much it would save. Rentals, I don’t think it saves much if at all. Depends on who is giving the discount. 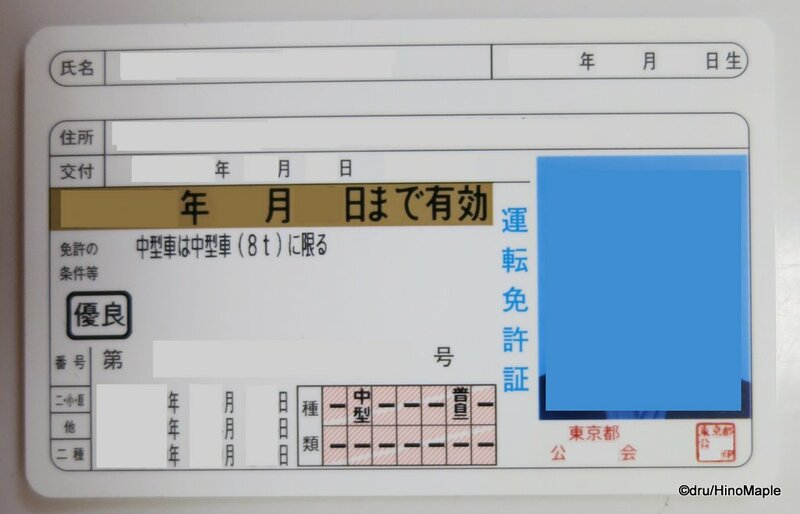 If you have had a license in your home country and apply for a green license in Japan, you need to proof that you lived in your home country for a full year with a drivers license. That way you get a green license but a remark on your license or papers will say that you are not a beginner and therefore don’t need to stick a beginner sign on your car, which was told to me by my coworkers. I will attempt this exact thing myself in the coming weeks. If you want the short version, it was a big hassle to convert my license but I’m happy I did it and now I can drive without worry in Japan. Good luck getting your license converted!